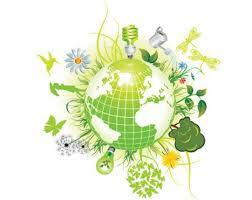 Each year CELC Middle School of Branford has a theme of study – this year’s theme: Ecology and Sustainability. After months of study, research and preparation, students not only write a formal research paper about a specific energy source, but also apply their learning by creating and constructing interactive displays related to renewable and nonrenewable energy sources, each created for an Ecology and Sustainability Exposition. The Ecology and Sustainability Expo is a free event open to the public, held 8 June 2018 at Willoughby Wallace Library in Branford from 12:30 – 4:30 p.m. In addition to the student displays, local organizations including Food Rescue US and Call To Care Uganda will be present with information. Please join us for this event to support the work of these middle school students. With great attention to detail, imagination, ingenuity, and dedication, the students will share outstanding work that demonstrates the knowledge they acquired about their topics. Contact mandm@CTExperiential.org or call 203.433.4658 for more information. Visit www.CTExperiential.org.